Minecraft Pocket Edition developers finally told all the players about the next update of the game 1.1! The development of the new version is coming to an end and very soon Android device users will have access to MCPE 1.1, while the owners of other operating systems will have to wait for the release. Why is the update has been called The Discovery Update? The new major update you will find many mysterious and wonderful things to be discovered. Get a special card from the cartographer villager and go in search of a mysterious forest mansion riding a llama! Using the new enchantment of frostwalking, you can freeze the water under your feet and calmly cross the river. 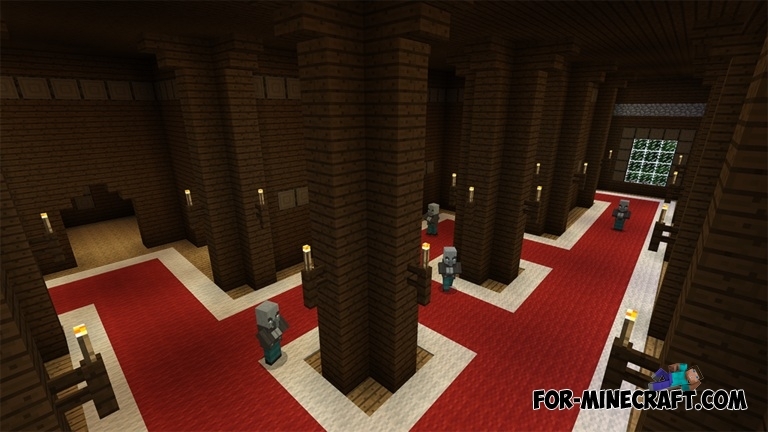 As we assumed earlier, players will be able to craft different color beds and also build beautiful structures using new blocks of cement and concrete. 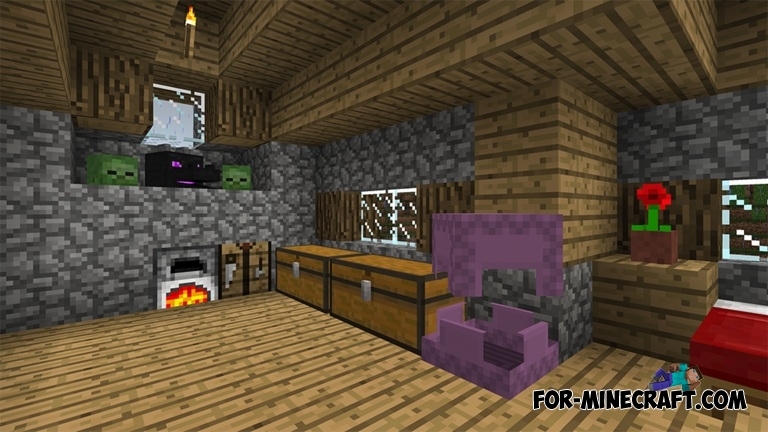 Do you like Minecraft PE Add-ons? The developers have prepared for you a new opportunity. Very soon you will be able to change the parameters of the movement of mobs! All this is just the beginning of a large list of changes. Mojang decided to seriously tackle the game and now each update contains a bunch of new and interesting things. You can see the list of changes which is confirmed by the developers here - Minecraft Pocket Edition 1.1. 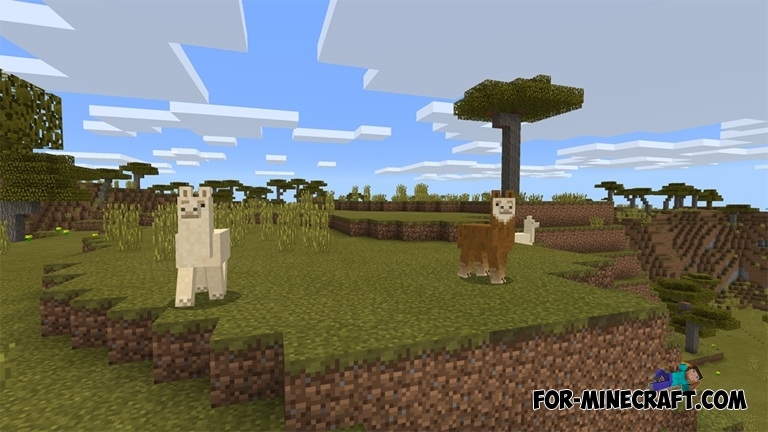 Llama mod v4 for Minecraft PE 1.1If you want to have a truly useful creature that will help you, then download the Llama mod for Minecraft PE.